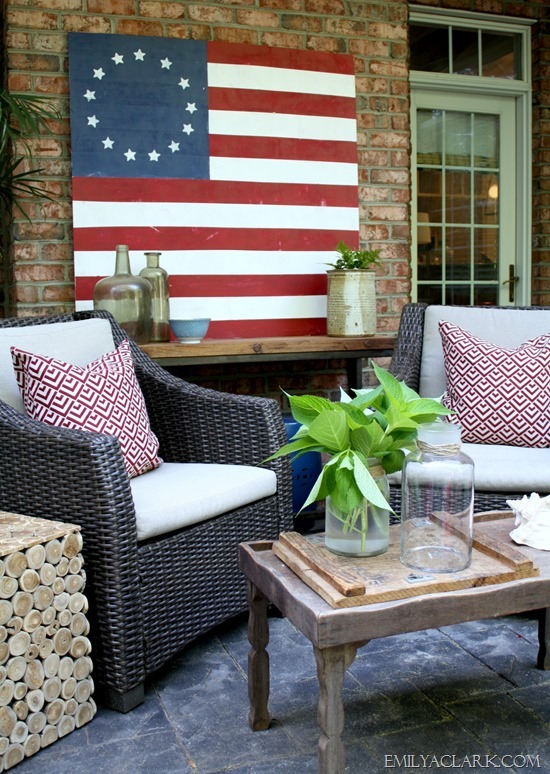 In honor of the upcoming holiday, I thought I would share some 4th of July decorating inspiration. 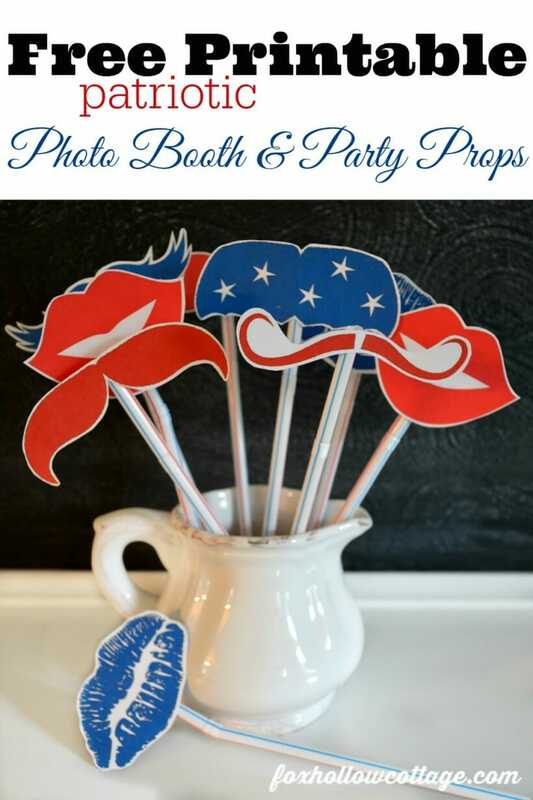 I'm a fan of red, white, and blue for everyday - not just the 4th! Here are some fun and easy projects I've come across. Click the link under the picture to Pin the original source and see the project details. 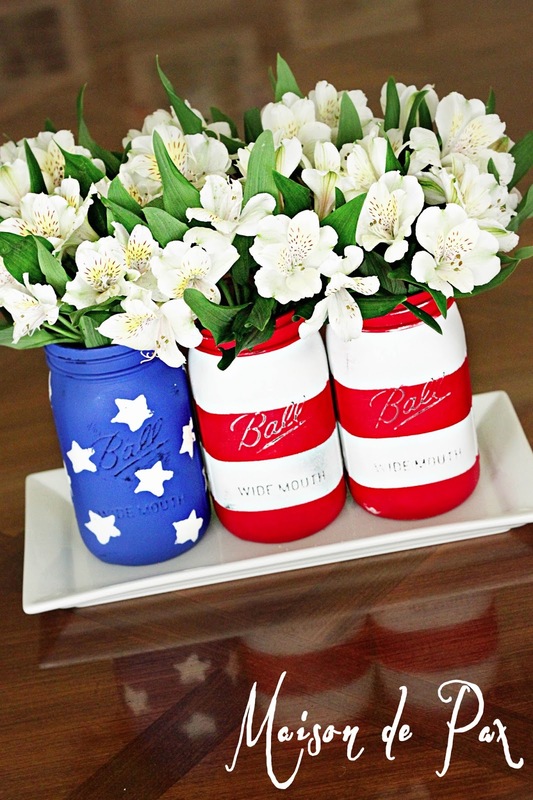 I love this picture with the Mason jars. You can see a tutorial for how to paint your own here. These will be fun for all ages. Fun for kids! 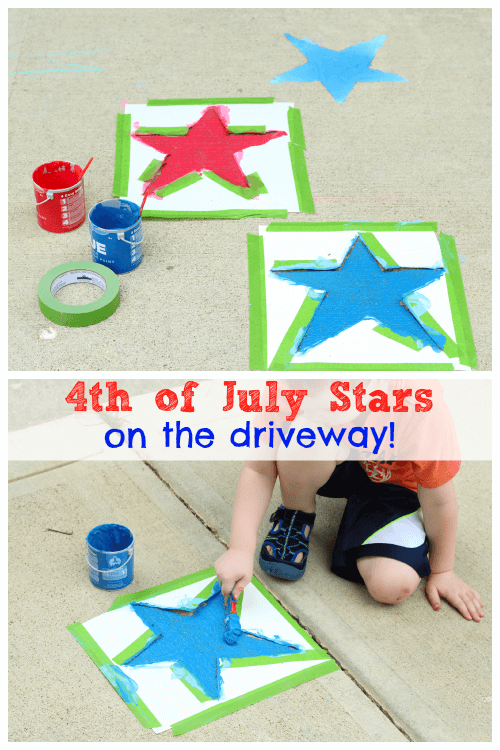 If you don't want to use paint, just make the star stencils and use sidewalk chalk.